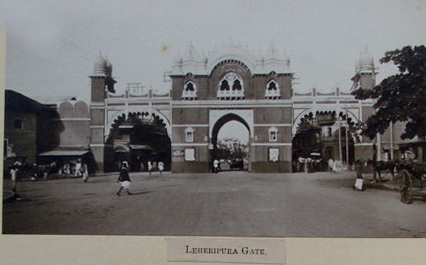 Lehripura Gate, built in 1558, served as the western gateway to the old city. 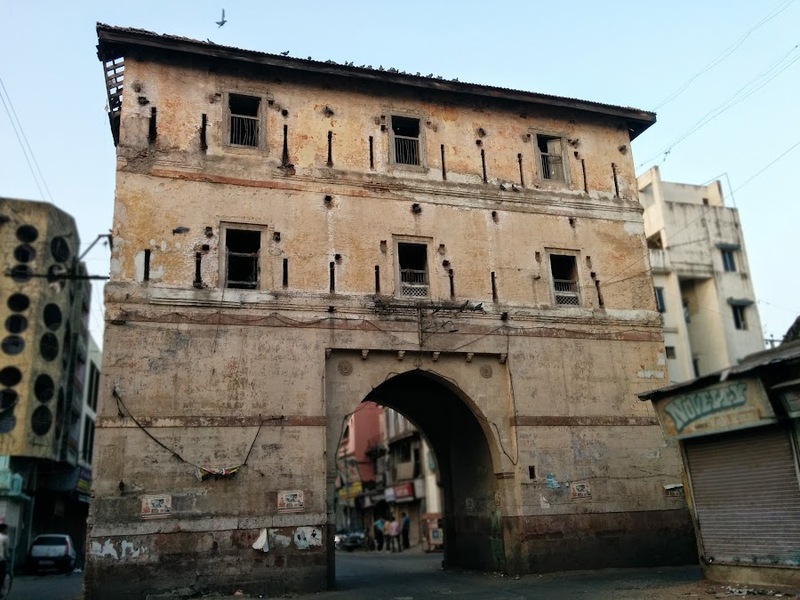 A towering structure with beautiful arches, the Lehripura Gate now serves as a busy market place famous for traditional Gujarati and Marwari artifacts. The Gate has 3 arches with Images of Lord Ganesha and Goddess Durga on it. 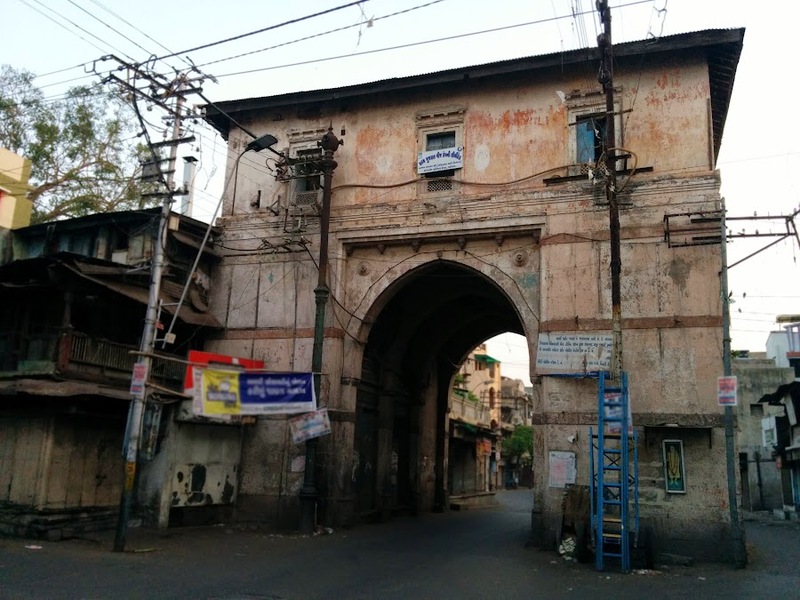 The central Arch has a chhatri and zarokha above where earlier Shehnai Artistes played in the Gaekwad reign. 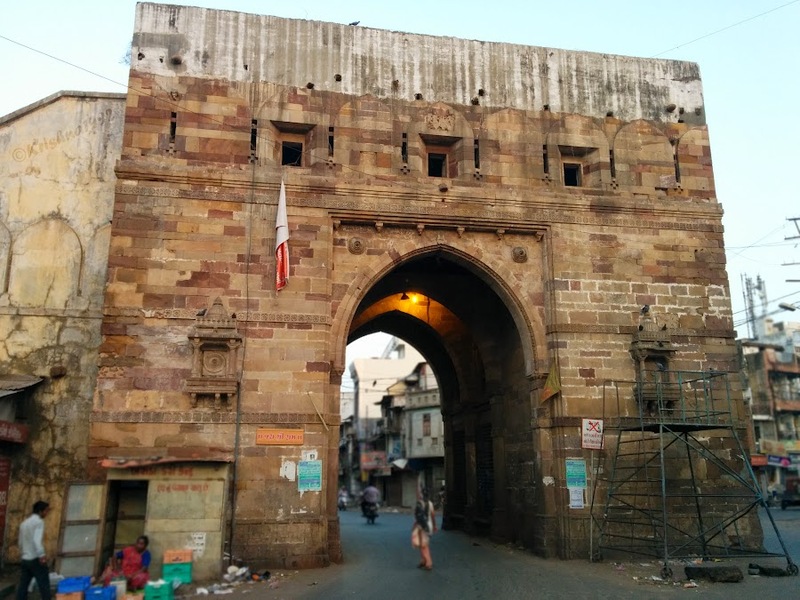 Mehmud Begda, the sultan of Gujarat died in 1511 AD and the sultanate passed to his son Khalil Khan, who assumed the name Muzaffar and constructed a fort to the East of ancient Vadpatraka which later evolved into Vadodara (Baroda). The Fort was known as Kila-e-Daulatabad and present day Laheripura Darwaja (Gate) is part of Western Rampants of the Fort. Under its august facade the British and the Arab soldiers of the Gaekwad fought a Bloody Battle in 1802. Coppersmiths residing in that area were known as Laharis. The Word Laheri in Leheripura is a varient of the Original Lahari. Beautiful site.. astonishing facts about the places in vadodara..